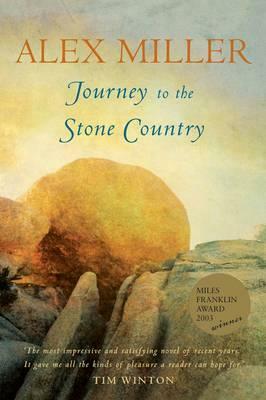 Why did I wait so long to get to Alex Miller’s beautiful, Miles Franklin Award-winning novel Journey to the Stone Country? Set in the famed ‘stone country’ of the interior of far north Queensland, Miller explores themes of possession, preservation, ancestral sins, redemption, love across racial boundaries, as well as Indigenous politics and reconciliation. He does this with the tender lyricism, earthy characters and delicate plotting that are the hallmarks of his stone country works. Journey possesses a sort of mystic gravitas that is hard to pin down, but is bound up in the rugged landscape and its Jangga people. It is a landscape not for the faint-hearted, and yet entering into it with Miller as your guide you feel completely safe, free to become as spellbound to its powers as its protagonists are. Annabelle Beck, a university lecturer in Melbourne, is the grand-daughter of cattle station owners in far north Queensland. She returns home one day to find her husband Steven, also a university lecturer, has run off with one of his attractive honours students. She retreats to Townsville where she meets Bo Rennie while doing some work for her friend Sue in the area of Aboriginal cultural assessment. The laconic, wise, chain-smoking Bo is the grandson of Grandma Rennie, a Murri Aboriginal woman who married Iain Rennie, a white stockman, even when such a marriage was outlawed by the ludicrously named ‘Protection Act’. Bo reminds ‘Annabellebeck’ they have met before—they used to swim naked as little kids in one of the old inland waterholes. He says to her he always thought she’d come back. She is intrigued by Bo and this cryptic message. Is he saying to her he has waited for her to come back? One of the delights of the novel’s progression is the way Annabelle has to throw off the part of herself that was raised and schooled to inquire into the reasons for everything. Together they begin a journey that takes them through landscapes of their families’ joint pasts. They navigate the fractious relationships in modern Aboriginal politics and come to learn of past brutalities that threaten their growing bond. Bo seeks to recover Verbena Station, the land Grandma Rennie inherited when Iain died, which she was swindled out of by a white relation. And when Grandma seen that we was ready she rose from the fire and led us out of the silverleafed wattle into a great wide clearing. I’ll never forget it. And there was the labyrinth of stones lying there on the bare ground, polished by the wind and gleaming in the moonlight like rows of skulls laid out in a secret pattern. And we knew we was looking on our old people. We never spoke but stood and gazed on them ancient circles and paths and patterns on the ground and we seen it was the playground of life and death and we knew them old people was little children just like we was and they had gone on before us and left us their dreams and their sweet lives. Grandma never needed to say nothing to us about having something to live for. We seen it ourselves. In one of their first joint work efforts, assessing country that a company wants to mine for coal, Annabelle finds a ‘cylcon’, a ‘cylindro-conical stone artefact of unknown purpose’, which she takes with her, but when she shows it to Dougald he almost recoils from it; he doesn’t know its original purpose or whether he should even be looking at it. Annabelle’s faux-pas stings her, makes her reassess her sense of the need to preserve artefacts. Indeed, one of many wonderful things in Journey is the way Annabelle realises there are some things in Indigenous culture she should not know. When Bo invites her to go with him to the Stone Country of the Old People, she is wary. I love the way Miller handles this, both Bo’s invite, the way it meant he was offering her everything without declaring it overtly; the way she receives it with a ‘yes’ that sounded like a no. The subtlety is lovely. 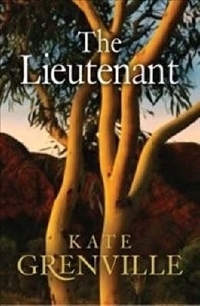 I recall Kim Scott’s masterful Miles Franklin-winning novel That Deadman Dance (my review here) being described as a ‘post-reconciliation’ work, one that showed the terrible things of the past while offering an olive branch, a way forward. 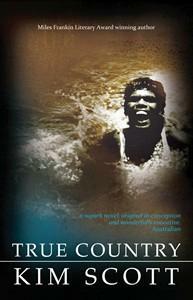 Of Noongar descent, Scott writes from a place of authority on the vexed issue of reconciliation. Miller is not Indigenous, and yet he too writes from a place of authority. He knows these people. In a way he is these people. There are lovely touches throughout, such as the meta-fictional title for Annabelle’s husband’s conference paper – ‘Biography as Fiction’ – biography being the basis of much of Miller’s fiction. They laughed uneasily and reached for their tea, sipping from their mugs, picturing the doomed bull trapped among the tumbled rocks, the dingoes eating into his quivering flesh while he yet lived and suffered; a transformation scarcely to be imagined, a brutality that must surely leave its ghostly impress on this country, an imprint for them to encounter in their quest to live among these stony ridges and ravines of the escarpment, the history they must adopt if they were to prevail in this place. There is a dual use of ‘zamia’: both poisonous nuts and the name of the street on which Annabelle’s parents’ house stands in Townsville. It’s a nice echo, and underpins the sort of poisonous thinking from one Indigenous elder Bo and Annabelle must overcome. Some relics, such as the stone cylcon deserve to be left to past times and past landscapes. Other things, such as the love Grandma Rennie shared with her husband Iain, should be resurrected. Lovers of Miller’s Journey to the Stone Country must read its ‘cousin’, Landscape of Farewell, which also features Dougald Gnapun, this time in a central role. It is a fine work, covering similar themes from a slightly different angle, as is Miller’s more recent return to stone country territory in Coal Creek (my review here). Many things tie these novels together: mystical landscape, laconic characters and beautiful, thoughtful writing from one of our best. Journey to the Stone Country was worth the wait and then some. Scott’s themes include Aboriginal culture, landscape, displacement, belonging, home. His tone mixes despair and hope. We see the narrative traits of later works here too, such as fragmented structuring, and shifting voices and perspectives. 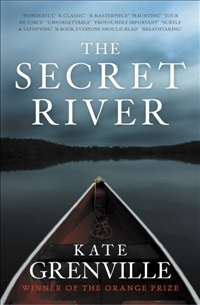 Though fictional, True Country is very autobiographical, as is common with many debut novels. It commences with Billy arriving into Karnama, a (fictional) remote Kimberly Aboriginal community, by airplane with his wife Liz. He’s coming to teach at the local school. He’s also searching for something in himself, though we’re not sure of what this is until near the end of the novel’s first section (at one-third distance). You might stay that way, maybe forever, with no world to belong to and belong to you. You in your many high places, looking over looking over, waiting for a sign. You’re nearly ready, nearly there. You’re trying to read a flat pattern, like the sea, the land from high above. Or you might see your shadow falling upon this page. And maybe that’s all you’ll see and understand. Or you might drift in. Fall or dive in. Enter. Wind drift, rain fall, river rush. The air, the sea all around. And the storming. You alight on higher ground, gather, sing. It may be. You listen to me. We’re gunna make a story, true story. You might find it’s here you belong. A place like this. The narrator here is the collective voice of the landscape and its people, speaking to Billy as he arrives into this place on his plane. Note the delightful duality in the words ‘your many high places’, how they cover both the manner of his arrival and the notion that, as a man from the big smoke, he might carry an elevated view of himself, as perhaps do we, us readers who are also entering this landscape as outsiders. And there is also the lovely sense of us diving beyond our shadows on the page and into the story alongside Billy, a notion that books can change us, a forerunner of the lovely passage in That Deadman Dance that highlights the same sense of diving into a book and coming up out of it changed. After the beautiful use of the single-word sentence ‘Enter’, we get a sense of what might happen to Billy if he does dive in, if he enters fully into the landscape. He will be subjected to elemental forces of a unique and lasting landscape, one that (‘it may be’) changes him, giving him a sense of the belonging he seeks. Apart from the occasional use of what I’ll call the communal voice, much of the novel’s first section is told by Billy in first person. It reinforces the notion of him as an outsider, separate from the people he finds himself living amongst. And it is a beautiful place, this place. Call it our country, our country all ‘round here. We got river, we got sea. Got creek, rock, hill, waterfall. We got bush tucker: apple, potato, sugarbag, bush turkey, kangaroo, barramundi, dugong, turtle … every kind. Sweet mango and coconut too. As he lands, the chapter ends on another short sentence: ‘Welcome to you.’ What we have is an invitation, to Billy, to us as well in a way. But although it’s a beautiful landscape, Karnama is not a perfect community, oh no. It’s not long before Billy and Liz hear and witness some of its many intractable problems, such as alcohol abuse, gambling, petrol sniffing, lack of parental care, violence (particularly against women, but also women against other women), as well as a general malaise, loss of culture and fading observance of Law. Each morning Billy has to round up the children for school. Faced with all the problems, Billy wants to do something. Fatima, one of the older Aboriginal women, offers to tell him stories about the ‘old ways’, to record them so he can transcribe them for permanent record. He also wants to tell them to the children in class, so their culture is not lost. Fatima also speaks of breakdowns in the cultural norms of the community, such as which women are allowed to be with which men. It’s only in looking back on the events he is narrating that Billy sees how inept he was at being a listener. He and Fatima talk about the community’s history as set down by the Missionaries. In the Mission’s journals is an account of Fatima’s birth, how it was troublesome for her mother, how her mother applied some ‘old way’ care to get her through. The journal entry makes Fatima weep. She’d not heard it before. This is lovely writing. The rumbling is more than a poor recording. It’s the thundering of a people wanting to be heard. All the more reason, we think, to get the true stories recorded. So they can indeed be heard. But even here, as the summer wet season’s downpours commence, Billy is struggling to find the time to transcribe the recordings. Throughout this first part of the book there are hints about Billy’s own background, with his slightly darker shade of skin, the way he can dance like the elders. Is he part Aboriginal himself, we wonder. He tapes some of the old men too. These stories are inserted within the narrative, without introduction. Some readers might feel jolted by this, maybe even a little lost. This is a criticism of Scott’s later writing too, but one I don’t share myself. I think he shows us how in matching the narrative form to the story, a writer elevates their work, shows their craft. The elder voices want to be heard. They are thrust into the rest of the narrative and we must listen. The sense of dislocation is important. The younger generation don’t have it easy, and Scott deftly has Billy note the reaction to Sebastian’s worries from one of the younger women, Gabriella. She has been to Melbourne to attend university, and is back in the community on holidays. She is lifting herself up as we non-Indigenous might say, as she herself might say. Her jaw clenches at Sebastian’s comments. Does she have nothing? Like Billy she is now part outsider. …each time she came back to Karnama after a time away she was happy, because she missed the people and the country so much. But she was sad too. … it was like going backwards sometimes, and even further backwards each time she met up with old friends. The bridging courses she did at uni didn’t connect these two worlds. So it seemed. So she said. It’s a wonderful echo of Billy’s own challenge of not seeing the community from above, of getting beyond his shadow on the page and diving into it. And Gabriella is one of the success stories. What’s particularly troubling are the children who neither believe the old magic nor want to become educated like her. If only their inability to write their own names was the sole problem. They are sniffing petrol, wearing ‘bracelets made from the rubber sealing rings of opened fuel drums’. They are tellingly said to be not drinking, ‘yet’. They are the ones who observe their father’s violence toward his wives and say he is teaching her a good lesson. ‘Tiny children threw rocks through windows, and knives at teachers who follow them home hurling feeble reprimands.’ What hope is there for them? So Billy is doing it with us now, and Gabriella too. We might be all writing together, really. This signals a shift. Entering the second section, we lose the first person narration and have both a third-person omniscient communal narrator and occasional first-person elder stories. The shift is significant. We lose some things here, which I’ll come to later, but again it’s Scott marrying form to story. Billy has admitted his Aboriginal roots, and is now part of something. It’s appropriate to relinquish the first-person narration and move into a more encompassing voice. The move also allows Scott to include discussions between characters when Billy is not in present, such as when Liz talks to another white woman about the community’s problems. The challenge for Billy after acknowledging his roots, is that although he finds himself more and more part of things, he still is searching for the secret of what it means to be part Aboriginal. And faced with so many social problems, can he find the old magic? How can he when even the supposed accomplishment of the community in performing corroboree dances to tourists ends mostly in disarray and disaster? How can he when one of the children he teaches is murdered by a white man who escapes punishment under the white man’s law? It’s tempting to say Scott offers no solutions, but perhaps in Billy’s search for the old ways there is an answer, or an approach to try at least. What perhaps is lacking somewhat is an exploration between Billy and Liz of what it all means to him, and what effect, if any, finding himself has upon them. In moving from the first person to omniscient, we lose a little of the close connection to Billy’s view of things, and the potential to explore the relationship with his wife in this way. True Country is twenty years old. But it feels fresh, both in the story sense, with the disturbing lack of progress in Aboriginal health and the loss of culture and Law to mention just a couple of problems, and also in a stylistic sense, with the edgy use of various and shifting narrative voices. There’s a timelessness in the Kimberley, and the same thing is present in Scott’s voice. The ideas and themes and style that characterise his later work are there from the start. (There’s even a little hint of whaling.) Long may he speak for himself, his people, and all Australians. There have been many enjoyable reads this year. The Boat by Nam Le got 2011 off to a great start with a collection of disperse and riveting ‘long’ shorts. I then had the pleasure of re-visiting two of Peter Carey’s great novels in Oscar and Lucinda and Illywhacker. 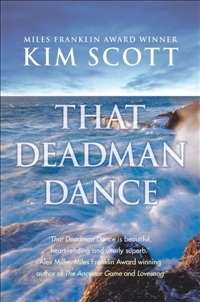 One of the standouts of the year was That Deadman Dance by Kim Scott, winner of the Miles Franklin. 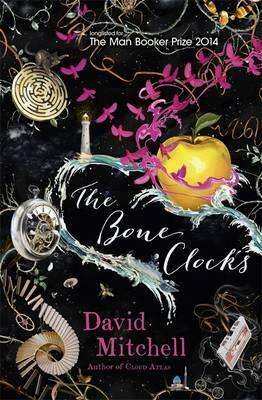 I thoroughly enjoyed David Mitchell’s Ghostwritten – so clever and absorbing, the way the inter-linkages worked was very impressive. Then onto another debut novel, this time from an Australian, with Favel Parret’s wonderful Past the Shallows. There was time for some great classics too, like Jane Eyre by Charlotte Bronte, and Love in the Time of Cholera by Gabriel Garcia Marquez. Later in the year I was thrilled and appalled by Jamrach’s Menagerie by Carol Birch – what a ride! And speaking of rides, what a way to end the year with The Savage Detectivesby Roberto Bolaño: part road story, part loss of innocence, every part fantastic. You can find the reviews of any of these by searching or by clicking on the tags at the end of this post. What were your favourites this year? As for 2012, I’m not about to go in for any challenges. I just plan on reading more classics, both old – Anna Karenina – and more recent – Bolaño’s epic 2666. And I shall keep abreast of some hot-off-the-press works. Apart from that, I shall go where the wind takes me. I hope you join me for future musings! Congratulations to Kim Scott for winning the Miles Franklin Award for That Deadman Dance. See my review here. It is an important novel, one that should be well and widely read.